Whenever I start wrapping presents, my girls want to get involved. They love the action of wrapping and tying ribbon and adding a card. 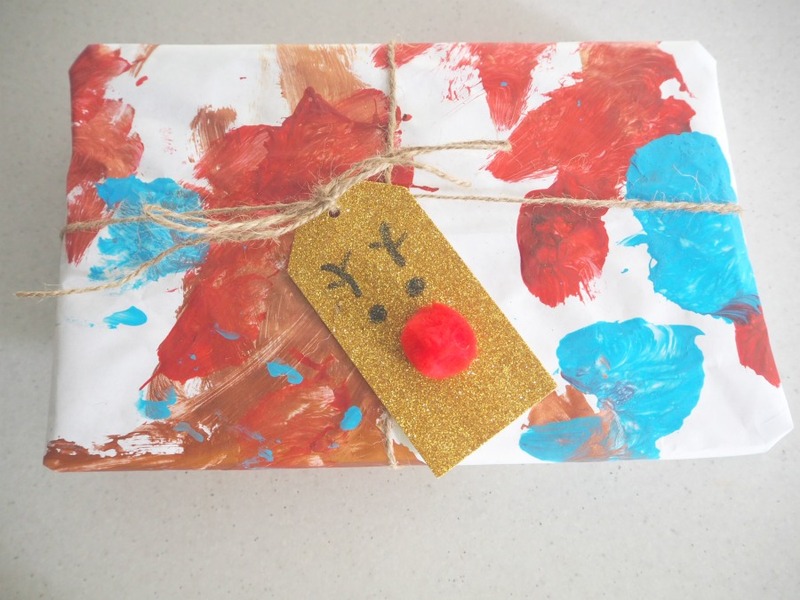 But for me, I like to ensure the present looks beautifully wrapped and when the kids get involved, it can look a bit messy. When it comes to wrapping gifts, I don’t go overboard, but I do think the joy of receiving a gift can also be extended with the wrapping. 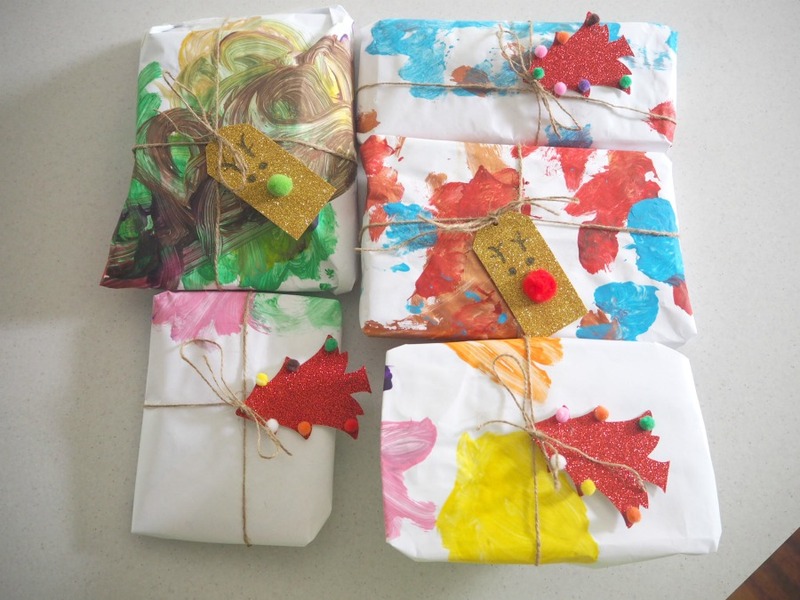 Over this past year, I have kept my daughter’s Kindy paintings to use to wrap the presents. 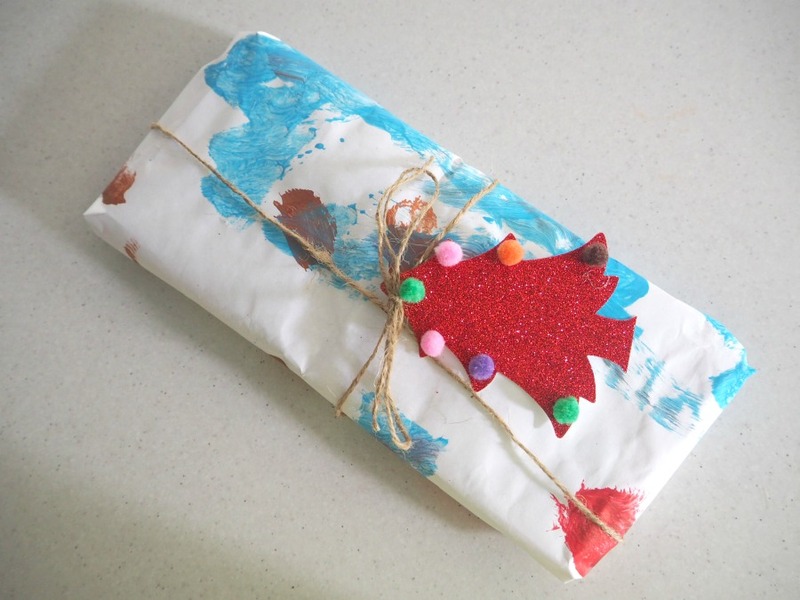 It’s a great way to recycle the paper and just one way for kids feeling involved in the wrapping process. This year, I decided to do away with Christmas Cards to attach to presents and have instead opted of gift tags. I purchased some gorgeous, glitter gift tags from Woolworths, but have opted to give an added touch to them to make them a little more fun. It also allows my girls to get involved in the wrapping process: I wrap the presents and write on the gift tags and they decorate them accordingly. 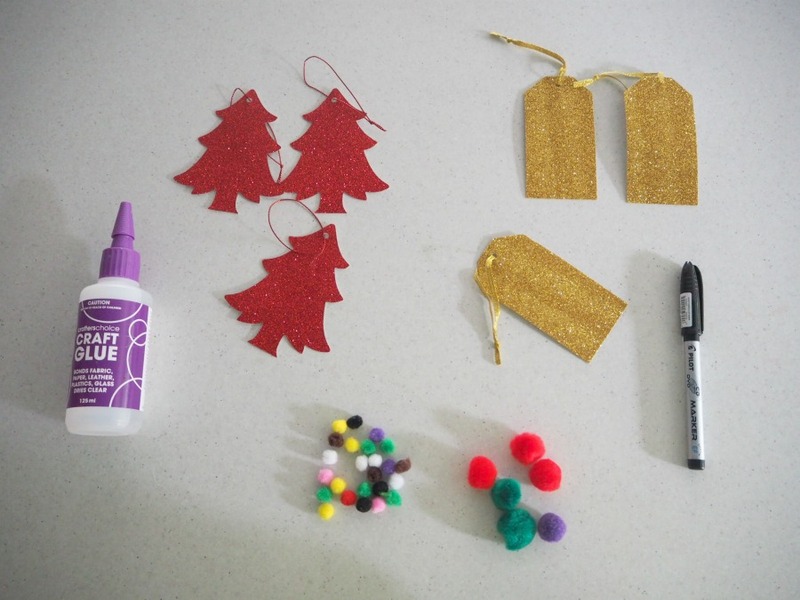 I’m still a little obsessed with Pom Poms, so it’s no surprise I’ve used these to decorate these tags. 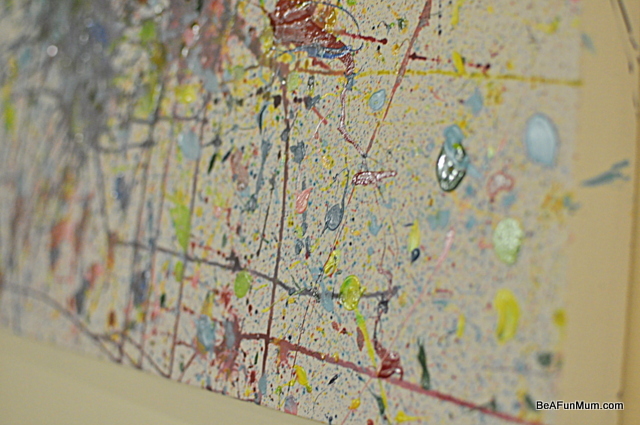 The great thing about using the pom poms, is they can correlate with the colours on the Kindy art. 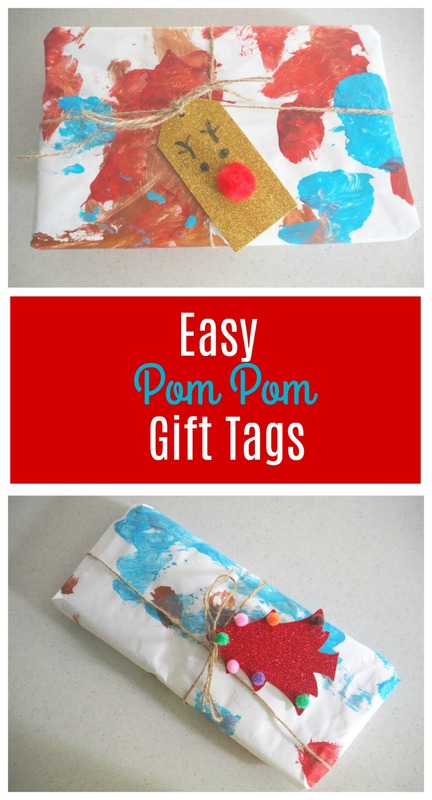 If you’re wanting to add a festive touch to your Christmas presents this year, you need to make these Easy Pom Pom Christmas Gift Tags. Before you make the gift tags, write to the recipient on the back. Once the pom poms are added, it can be difficult to write on them. 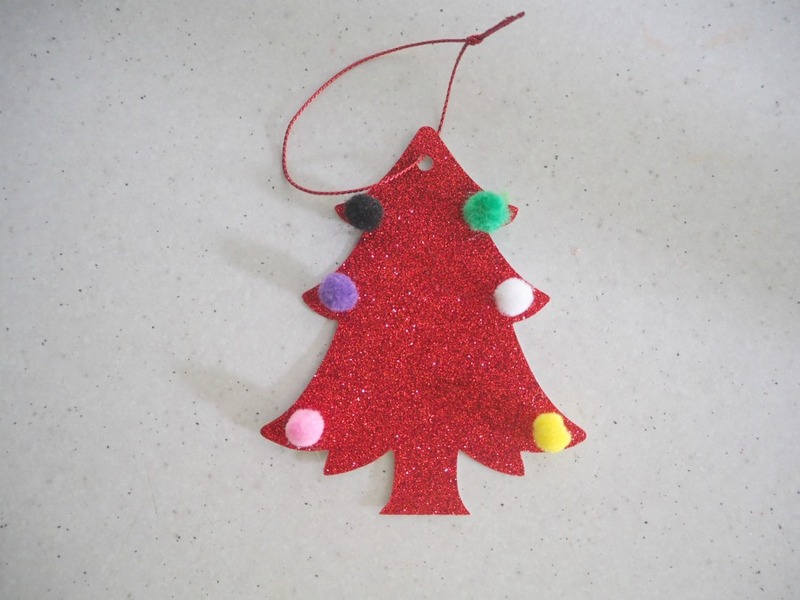 To make a Christmas Tree gift tag, dot craft glue at each wisp corner of the tree, add a small pom pom and then leave to dry. 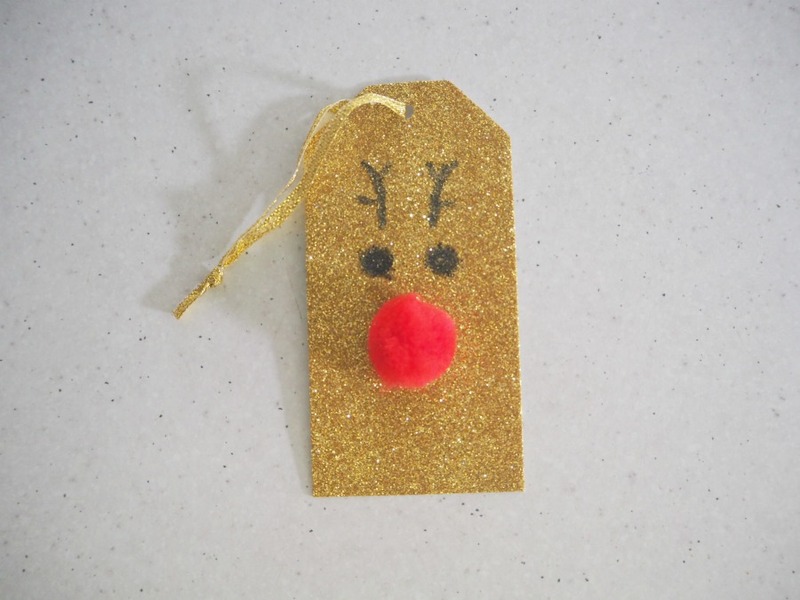 To make a Reindeer Tree gift tag, use the black pen to draw eyes and antlers, and then glue a red medium sized pom pom for the nose. I think these gift tags add a bit of extra love to these wrapped presents. 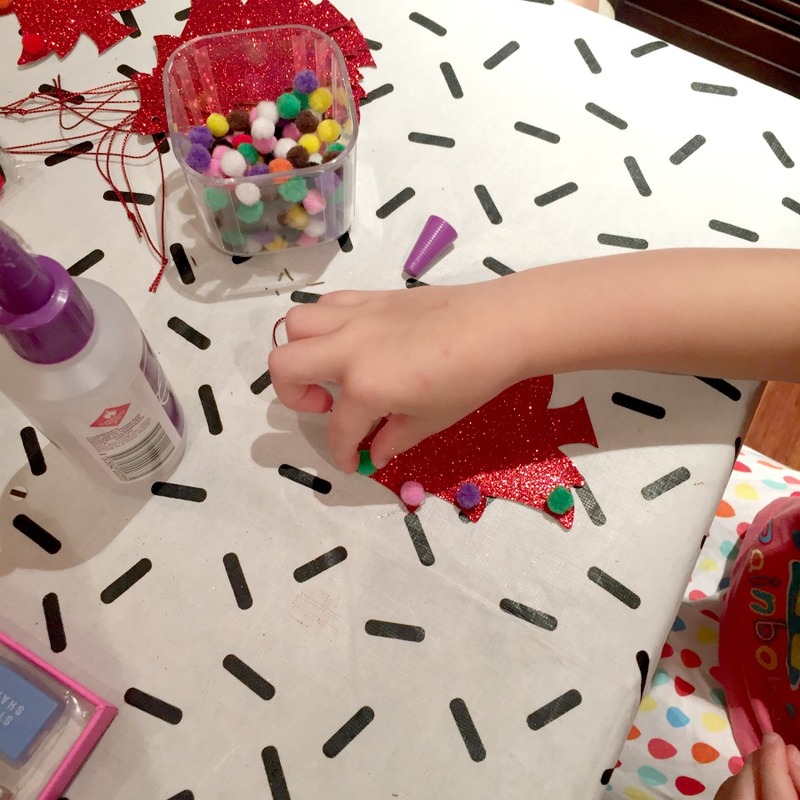 This craft idea is so easy, my three year old could do it.